A fun ride that pulls at your heartstrings. Emotional story line, well written. I love reading seasonal books every year and I'm glad this one deviated from the norm. Would recommend! 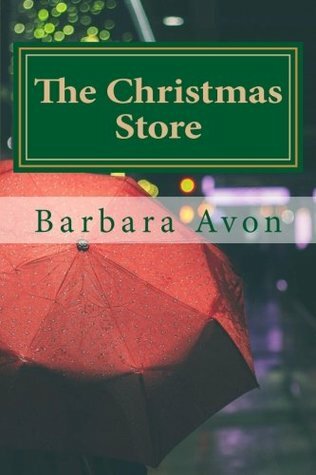 I am a huge fan of Barbara Avon's other books. I had to pry the trilogy out of my mother's hands and bought her her own copies. The Christmas Store, not part of the trilogy, left me in shock...in a good way! It was not what I was expecting at all. There are a lot of twists and turns in the novel and if you're a fan of that sort of thing, you'll love this. The author's characters are so real to me. I wonder if that's because she writes through the lead male's eyes and as a woman author, knows what us women want. Keep an open mind when you read this because it's different from her other novels but I cried. To me, that's an indication that the author did something right! Amazing story from start to finish! I could not put it down for wanting to know what happens next! It left me wanting more from this amazing author! Barbara Avon - I'm a wife, daughter, sister and aunt, living in Ontario, Canada and pursuing my dreams. Being able to share my creativity with the world is a dream come true. Being the hopeless (hopeful!) romantic that I am, my characters are fashioned to epitomize that kind of love that we all seek. Remember to always pay it forward and help our fellow man. Love Deep, Always.